IP-Listing - Malaysia | THE IP CO.
HomeIP-ListingIP law firms in Asia, MalaysiaTHE IP CO. The IP Co. provides a full range of intellectual property services such as: Trademark, Patent, Industrial Design and Copyright Filing & Protection in Malaysia and Asia Region. The IP Co. team of professionals consist of qualified and highly experienced individuals from a variety of technical backgrounds from a broad spectrum of the sciences and engineering disciplines, having years of experience in Trademark, Patent, Industrial Design and Copyright prosecution and litigation before patent offices which include the United States Patent and Trademark Office (USPTO) and European Patent Office (EPO), we able to understand and provide a customized consultation tailored to our clients' specific business needs. 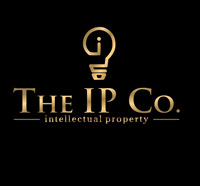 The IP Co. vision is to provide a quality service for our client that includes responding timely and providing service at an affordable rate to encourage clients to obtain more Intellectual Property Filing & Protection in Malaysia or Asia region.